Nicole van Hattem CHHC is the Producer and Host of the Hot and Healthy Show, Success Strategist and Resilience Coach, TEDx speaker, and three times bestselling author. More success with less stress! When 20 years as a corporate high-flyer resulted in burnout in 2010, Nicole retrained as a Holistic Health Coach, lost 17kg / 3 dress sizes and began her mission to end “Death by Desk” – an epidemic of Women in business struggling to do it all, be it all and burning out. Nicole’s experience of living and working in the Middle East in a high-flying international corporate job. The consequences of not taking care of yourself while striving for more in your career. The breakthrough and resiliance you can have once you listen and get in touch with your body and take care of it. Detoxing and the transformative benefits of getting the ‘junk out of the trunk’! Tips on thriving in the 9 to 5 and avoiding a death by desk and Nicole’s Tedx talk. How Nicole retrained as a Holistic Health Coach and her vision to integrate a corporate head and holistic heart. Understanding that you can’t do it all on your own as that is a fast track to burnout. Question your definition of success – is it your definition or someone else’s? Nicole’s books – particularly Balls of Energy and how it came about. Understanding the value of what you do and how others will be more involved once invested. Corporate engagement surveys – are they really of any value? It can take multiple alarms before you get the message and break your patterns of behaviour. Paying it forward, the ripple effect of helping others to achieve their goals and thrive in their passion. We are way too smart to be this dumb!! Dissatisfaction with where you are at in life is not necessarily a bad thing – see it as an opportunity to grow and be/do whatever it is that makes you thrive. I hope you enjoyed episode 7 and the chat that I had with Nicole – I know I had a ball! Hopefully now you have the motivation to also end death by desk and thrive in the 9 to 5. Make sure you check out Nicole’s Tedx talk and her books – you’ll find info on the Links page on my site. 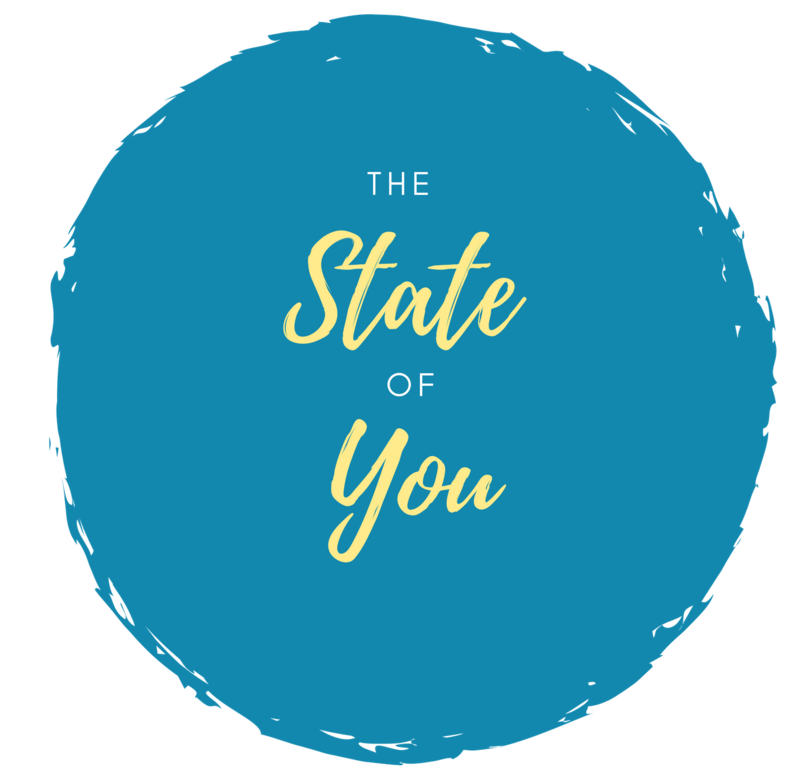 Thank you for taking the time to listen to The State of You – if you’d like to share your story, please get in touch by visiting www.thestateofyoupodcast.com and send me an email. If you enjoyed this episode or have a topic you would like me to cover in a future episode, I would love your feedback. You can find me on Instagram @thestateofyou, Facebook @thestateofyoupodcast or subscribe to the podcast through my website.